Marolix Technology Solutions Pvt Ltd is looking for Web Designing at Hyderabad. Interested Candidate can apply for the job. Openings on: 1.Php 2.Android 3.Java 4.Digital marketing. Magneto IT Solutions is looking for Web Designer at Ahmedabad. PHP developer, Frontend developer, Backend developer, Node Js developer, System administrator INTERVIEW DATE: AHMEDABAD – 17 February 2019. 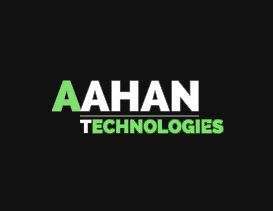 Aahan Technologies is hiring Web Designer to join immediately in team at Indore. Techeshta is hiring Word Press Developer & Web designer at Yogichowk and Surat with one year of experience or fresher. Interested candidates can call on 9712202784. The Appideas is hiring WordPress Developer & Webdesign at Nikol and Ahmedabad with 1-2 years of experience. Interested candidates can contact: 8866564279.